Diabetes is the leading cause of blindness in working-age individuals. 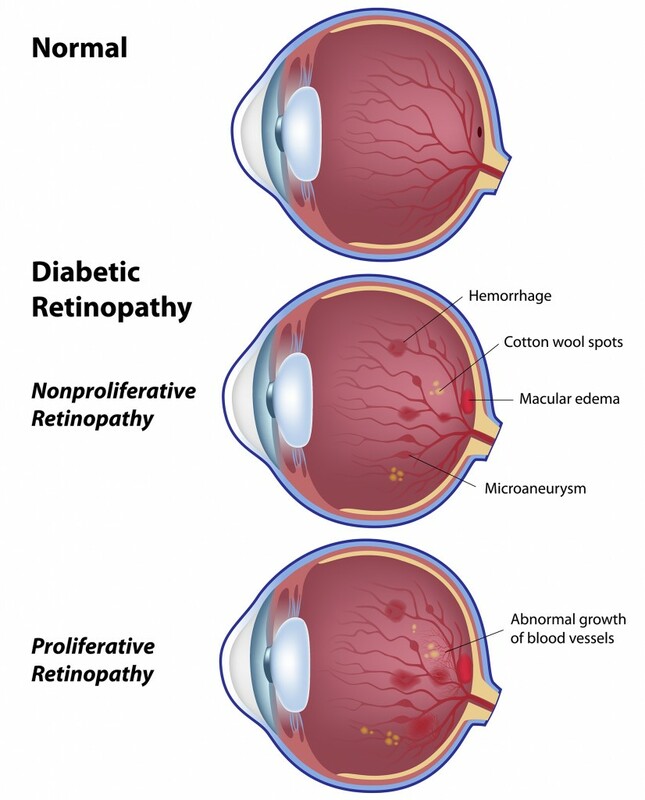 This is the consequence of Diabetic Retinopathy, a common complication of Diabetes in which blood vessels that nourish the retina begin to deteriorate. These blood vessels have a tendency to leak fluid or blood and can develop brush like branches that damage and scar the retina. Patients who have had Diabetes for many years are at higher risk for this condition. All diabetics require regular follow up with an Ophthalmologist and any changes in vision should be reported immediately. Patients with diabetics, especially those who have a hard time keeping their blood sugar levels under control, should have yearly eye exams to determine if their diabetes is potentially harming their vision. If you have diabetes and would like to schedule an eye exam to evaluate your eyes, contact us today.